Before the Portland Gay Men’s Chorus embarks on their historic tour across China in August 2018, they celebrate the music of Southeast Asia in Portland. 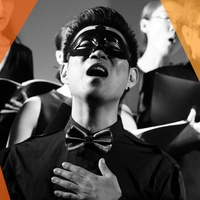 Pacific Voices is a concert featuring a collection of songs from across the Pacific, including original works and new translations with cultural significance. PGMC is honored to welcome the Beijing Queer Chorus—China’s first LGBTQ chorus—to Portland as our very special guest for this show. This partnership will be an unforgettable musical experience!